A lease may be of use for cars, houses, lots, properties, and other more things that can be rented for a specific period of time. 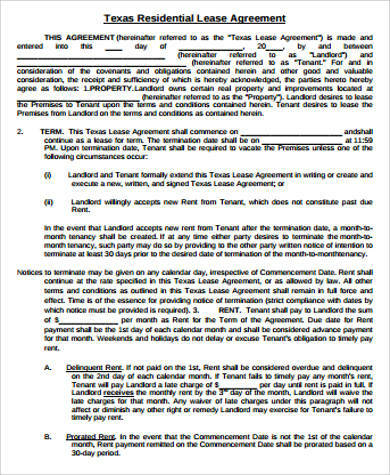 A lease is a document that serves as a contract or an agreement made by two parties. 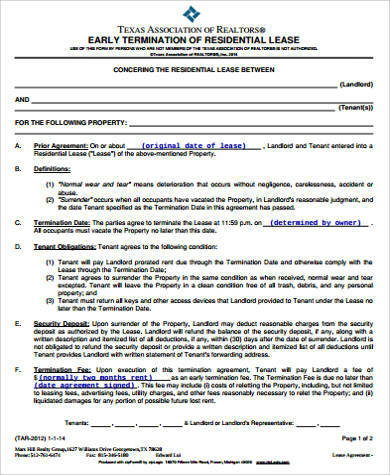 It is a set of terms and conditions that outlines everything that both the lessee (the one who will rent) and the lessor (the owner of the item or property) have agreed upon.You may take a look at these Sample Agreements for references. Leasing a property can be hard to maintain as it is included in the agreement the duration of time that a lessee will use the property. 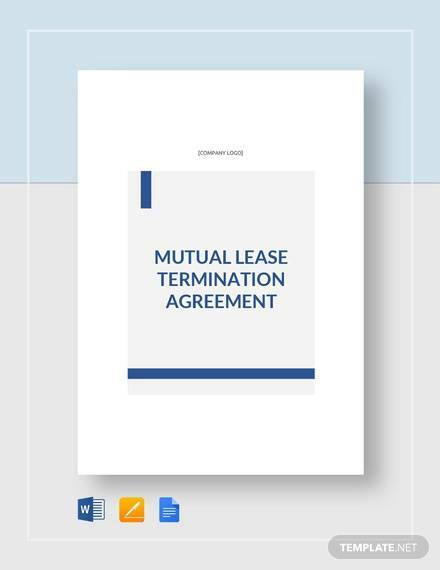 A change of mind of either parties can only be done should the lessor or the lessee both agree to terminate the agreement.The use of a lessor’s property is set by rules and agreements that has to be approved by both parties involved. Breaking rules and regulations written in the agreement. 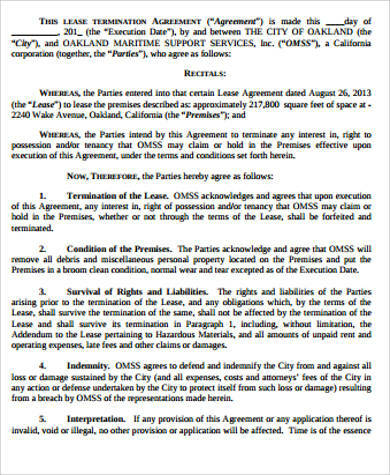 The lessor has the right to impose rules because after the lessee has used the property within the duration of time that is in the agreement, the lessor has to use the property again either for personal use or another prospect lessee. 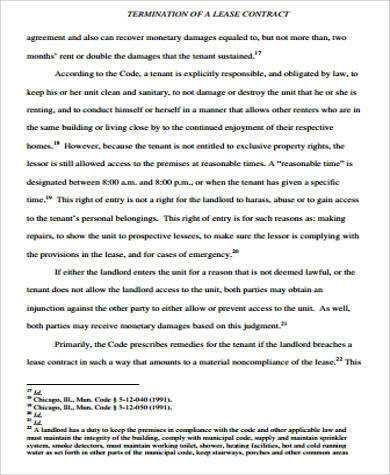 Should certain rules be broken that can affect the maintenance, appearance, and usage of the property, the lessor can have the agreement terminated. Damaging the property and using it for illegal purposes. 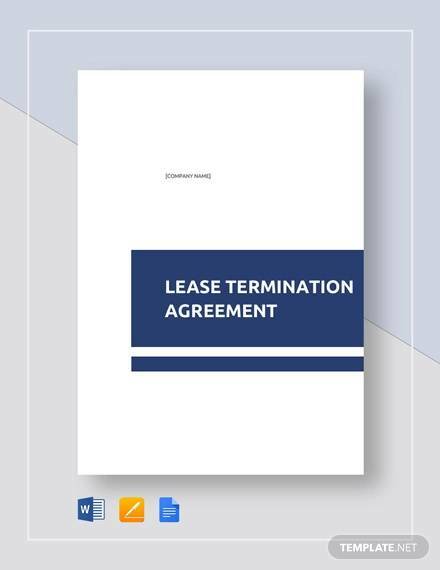 Anything that has to do with breaking the law and giving damage to the property can be grounds for leasing agreement termination. 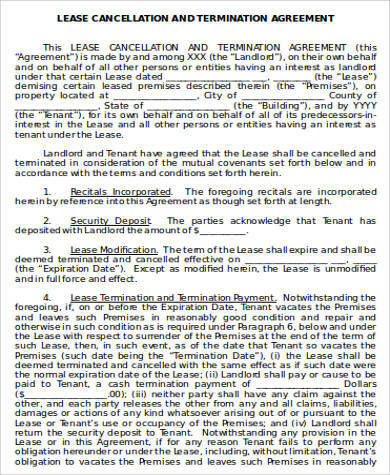 A notice of termination shall be given first to the tenant. 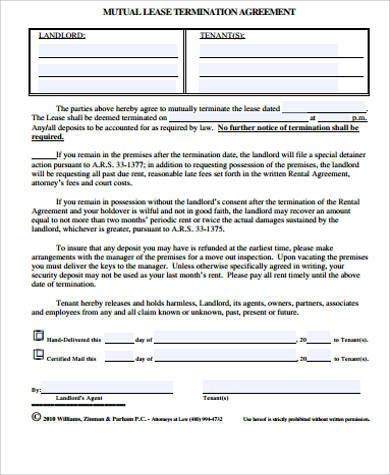 If the tenant still does the things that he or she has been doing after receiving this document, certain actions may be done depending on the location of the property and the laws that abide in that place regarding lease terminations. 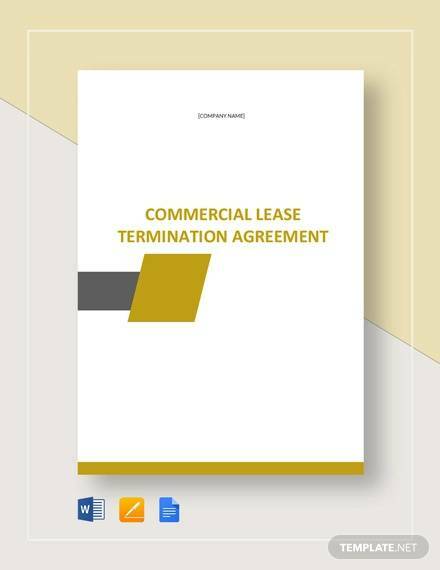 You may take a look at our Sample Commercial Lease Termination Agreements for more information about this matter. Commercial Lease Samples are also available for download. 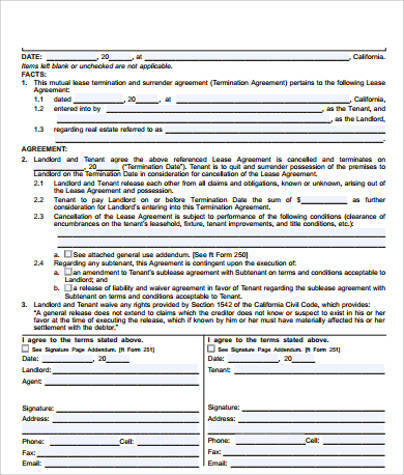 If you want to lease a property or on the other hand want your property to be leased, make sure that you give importance to what is written in the lease contract. 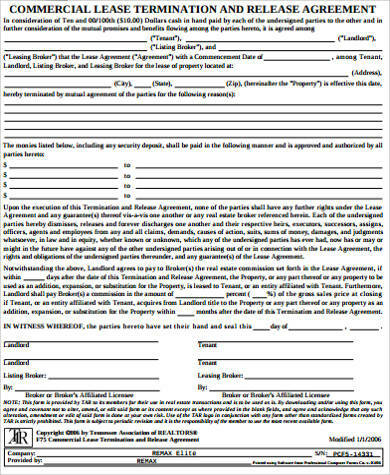 The lease contract will provide all the information that you need to follow all throughout the time period of the lease. You should be able to cite all the things that you want to add or get removed and have both parties agree on it. Remember that all the details in this agreement cannot be easily changed and has to go under certain procedures before implementation. Always remember to be aware of the details that are being presented to you and think if you can keep up to it not only for a short period of time but in the future as well. 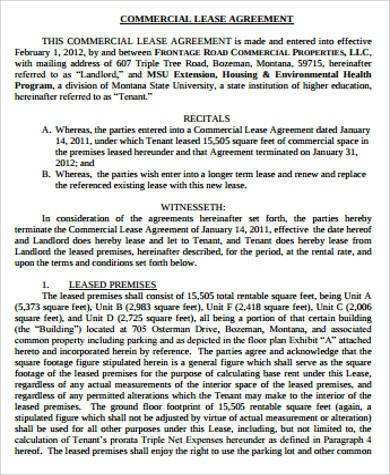 You can download Sample Lease Contracts so you can have examples of lease contract templates and how it is being filled.